Build muscle, burn fat, and hit your fitness goals on-the-go. Turn your bag into a portable protein arsenal! Venture into the vast caverns of your backpack, man-bag or purse. Among the crumbs and tiny bits of trash, you probably have a running collection of gum, sunglasses, ChapStick, pens, and any number of odds, ends, knick-knacks and bits of "stuff." For the fit person who doesn't always have time to cook a good meal, a bag or purse can also be home to packable proteins. As a dieter, competitor, or just plain fit-body, it's crucial to be prepared for late nights at the office, long days on the move, or any other event that leaves one with limited food choices. Here's how to scrap the crap and turn your bag into a portable protein arsenal! If you eat every 2-to-3 hours, you will need to bring some chow to a movie. Stick a protein bar in your bag. Some can be high in sugar and fat, so make sure to check the nutritional facts for your dietary needs. Long meeting ahead? 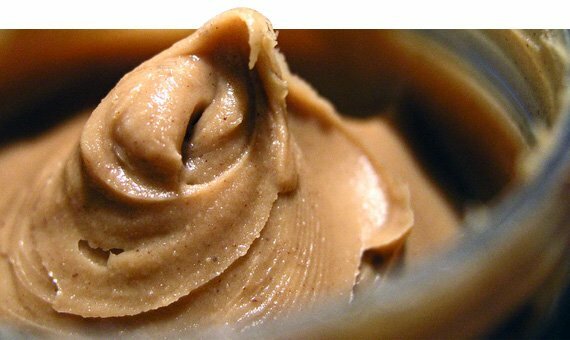 Healthful peanut butters are now available in travel-size packets, so bring one with some celery to those boardroom bores or PTA pow-wows. Racing from work to your son's soccer game might leave your tummy rumbling and your energy low. 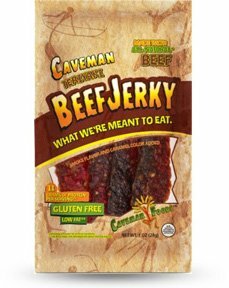 Store some low-sodium, low-sugar, low-saturated fat jerky for any busy day! Almonds are a great snack. They're filling and loaded with healthy Omega-3 fats. 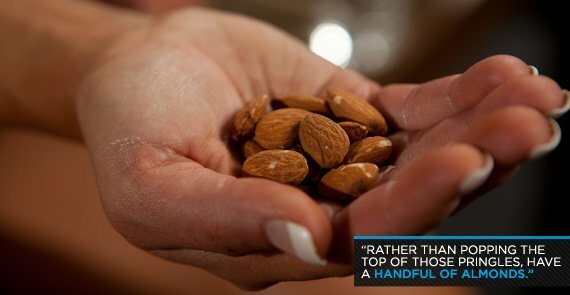 Rather than popping the top of those Pringles, have a handful of almonds. For long, late afternoon trips, a snack before dinner is a good idea. 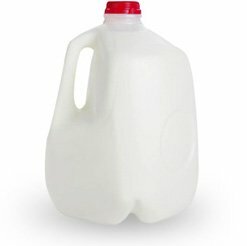 Try a non-refrigerated carton of milk or soy milk. The protein in them will keep you energized until you can really chow. If you can barely squeeze a workout into your busy day, you may not have time to sit down for a meal afterward. 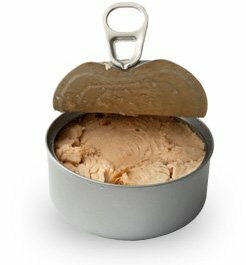 Try pouches of tuna for quick and easy post-workout protein. Coffee date or café meeting on your schedule? 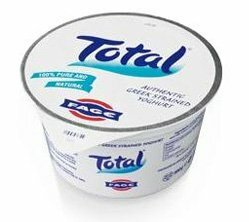 Instead of a crème frappe or plain coffee, try ordering a flavored iced tea with fruit flavored protein powder, or grab a coffee and add some chocolate or vanilla protein. Carrying a baggie of protein with you to a caff n' chat will ensure that you get your nutrients while enjoying the ambiance of a coffee shop. If you're cutting for a competition, eating lean is key. Going out for din-din might be tough because most restaurants use oils and fats in their meat preparation. 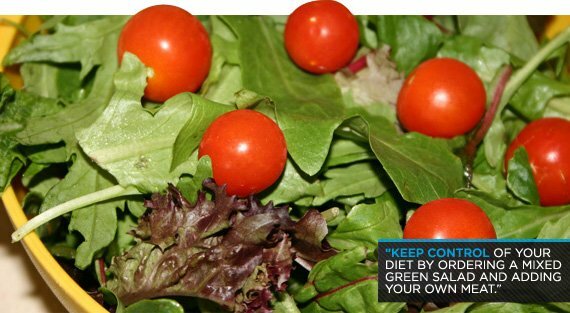 Rather than skip a social situation, keep control of your diet by ordering a mixed green salad and adding your own meat. Add some cooked chicken breast to a plastic baggie, stow and go, and eat lean anywhere. Greek yogurt or protein puddings are great for dessert dates. You can still enjoy your social outing and satisfy your sweet tooth without expanding your waistline. Add a few strawberries to make it extra tasty! If friends tempt you with morning donuts or sugar-packed muffins, agree to the meeting and bring your own homemade treats! 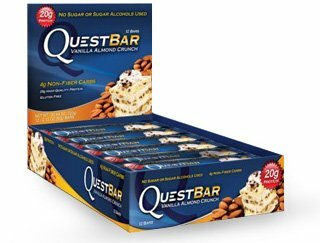 If you haven't tried them, Jamie Eason's Chocolate Protein Bars go great with coffee and company.